At the quarter-final stage of the Boys’ Team event at the 2018 World Junior Championships in the Australian city of Bendigo, French combination of Leo de NODREST, Irvin BERTRAND and Bastien REMBERT ended the hopes of the no.10 seeds, Iran’s Amin AHMADIAN, Amirreza ABBASI and Arya AMIRI to reach the penultimate stage. The already won bronze medal and they will play against China for the place in the final tomorrow. Romania’s Rares SIPOS, Cristian PLETEA and Cristian CHIRITA failed to reach semis after their duel against Japan. 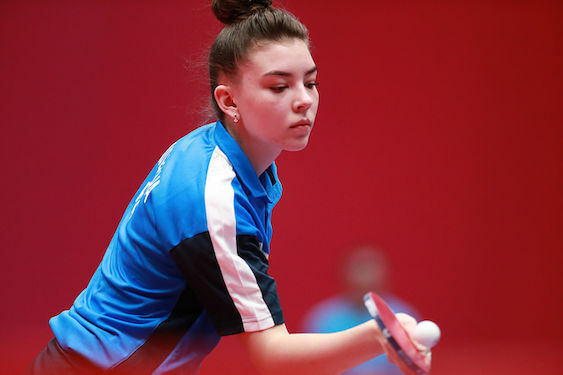 In Junior Girls Teams Event, Russia, the no.5 seeds, represented by Mariia TAILAKOVA, Anastasia KOLISH and Kristina KAZATSEVA overcame Hong Kong in straight matches to book their place among top four teams. Previously they overcame Belarus outfit formed by Maharyta BALTSUSHITE, Nadezhda BOGDANOVA and Darya KISEL. Romania’s Andreea DRAGOMAN, Tania PLAIAN and Elena ZAHARIA emerged successful when opposing the no.9 seeds, Serbia’s Andjela MENGER, Sabina SURJAN and Tijana JOKIC in Round of 16, before they lost bronze medal contest against Japan in quarters. In addition, China, Japan and Republic of Korea emerged successful.